I am passionate about using what I have, making the most of available resources. Whilst making the denim curtains for our bedroom I unpicked and saved all the denim pockets from the former jeans ready for a new project. My initial thoughts were to make a doormat but when my husband mentioned a chair for his corner of the bedroom my plans changed. Our bedroom has denim curtains, a denim quilt and a denim chair for my side of the bed. 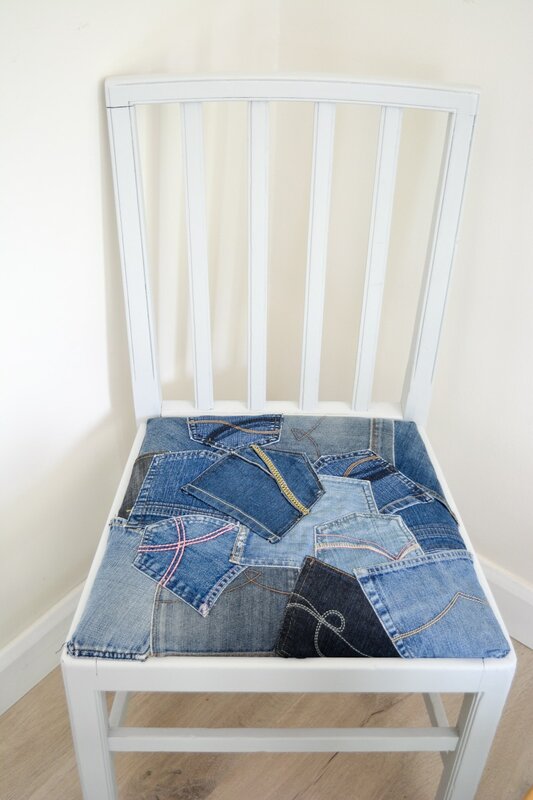 It is only fitting my husband has a denim chair for his side of the bed. Remove the dropped in seat from the chair. 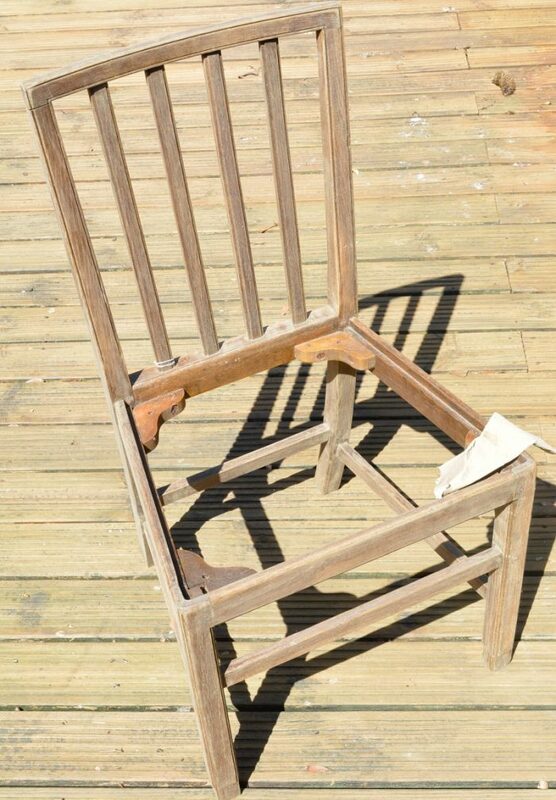 Sand the chair thoroughly, then clean down to remove any grease. 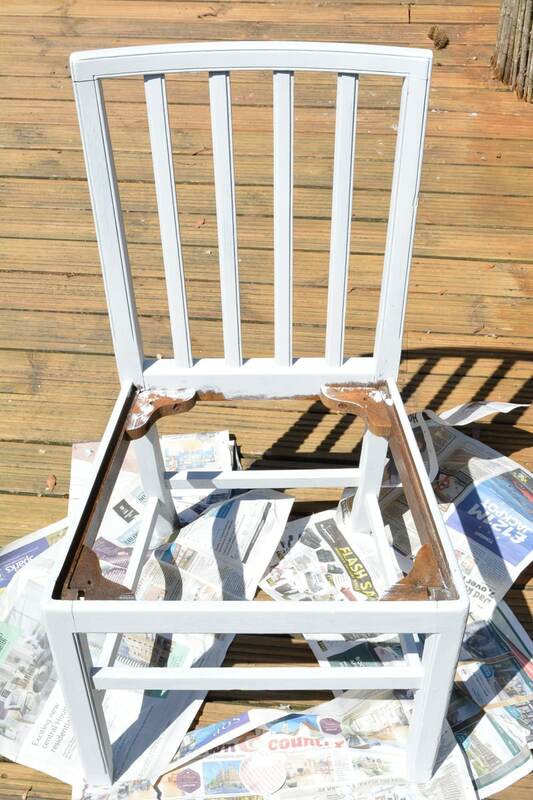 Apply fusion mineral paint to the chair. Allow at least two hours then apply a second coat. Moving on to the seat remove the tacks from the base of the seat. Carefully keep the hessian. Using the original seat cover as a template cut out your base fabric. 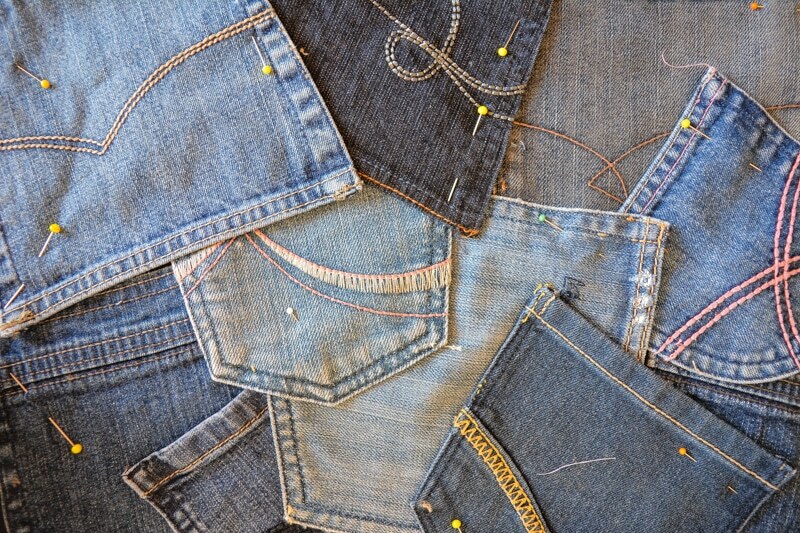 Arrange the denim patches over your base fabric. Be mindful about the corners of the new seat cover, try and avoid bulky parts of pockets as you will need to fold the fabric here, the seat when finished needs to drop back into the chair. Pin the pockets in place. 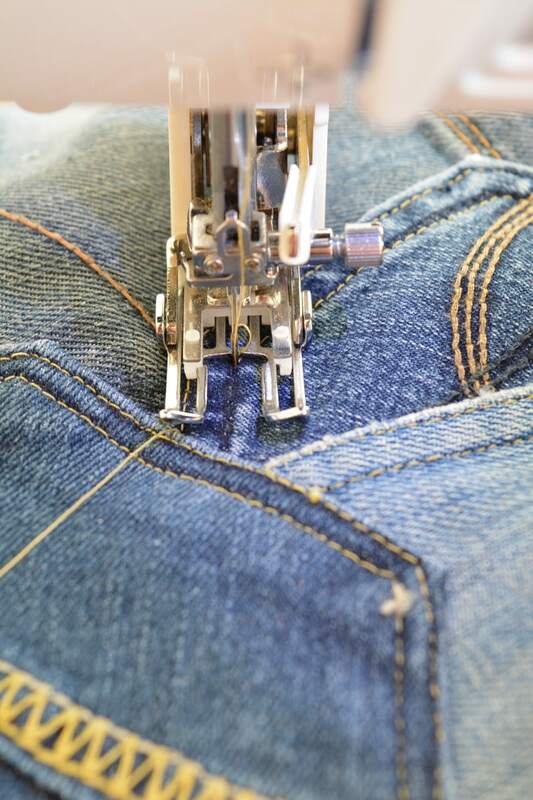 Stitch the pockets down, I have used a walking foot to enable my machine to cope with the various thicknesses of fabric. 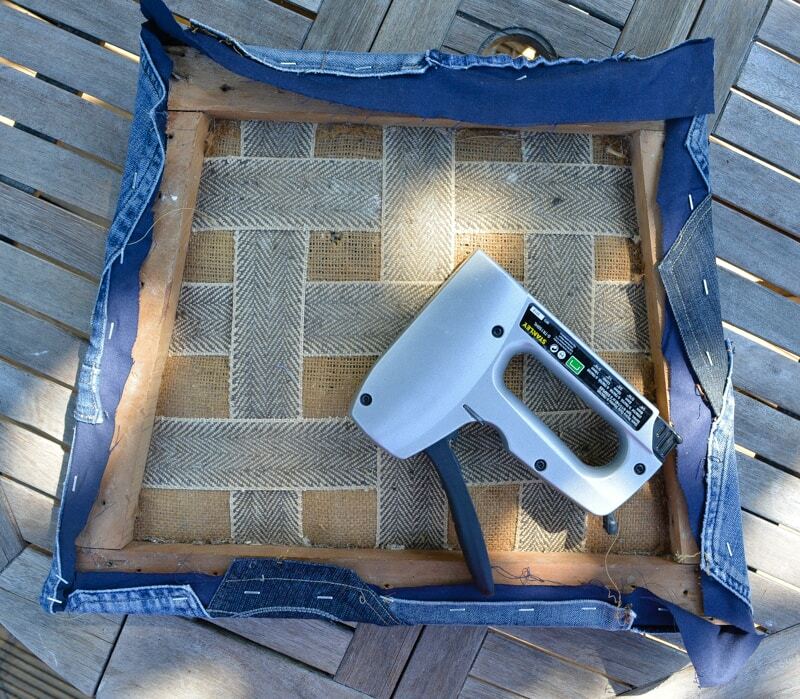 Gather the seat, new cover, hessian back and staple gun. Place the seat cover right side down, place your seat on top. Starting at the central point of each side stretch and staple the new cover in place. Pull the fabric as tight and neatly as you can around the corners. 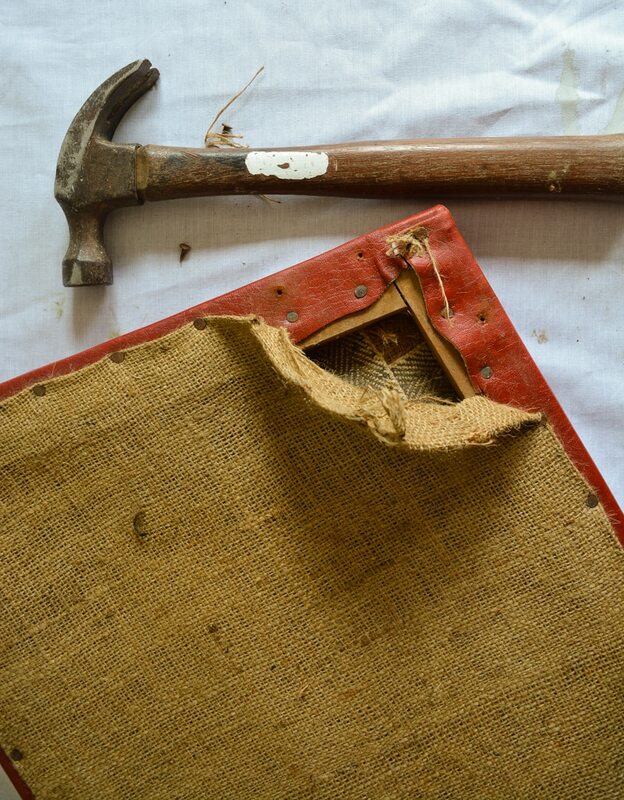 Place your hessian on the underside and staple in place. Drop the seat cover back into the chair. 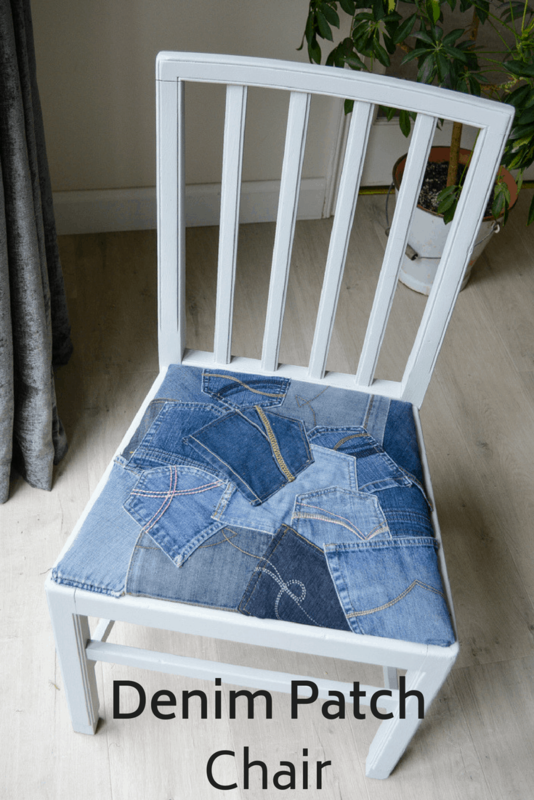 If you prefer a traditional patchwork look then check out theses stunning denim hexagonal pieced chair seats from Pillar Box Blue. We are still debating what colour to paint our bedroom walls, after a night in a hotel I am now contemplating a soft green… One day we will make a decision, paint the walls and hopefully I can achieve good pictures of the denim curtains so I can share them with you. 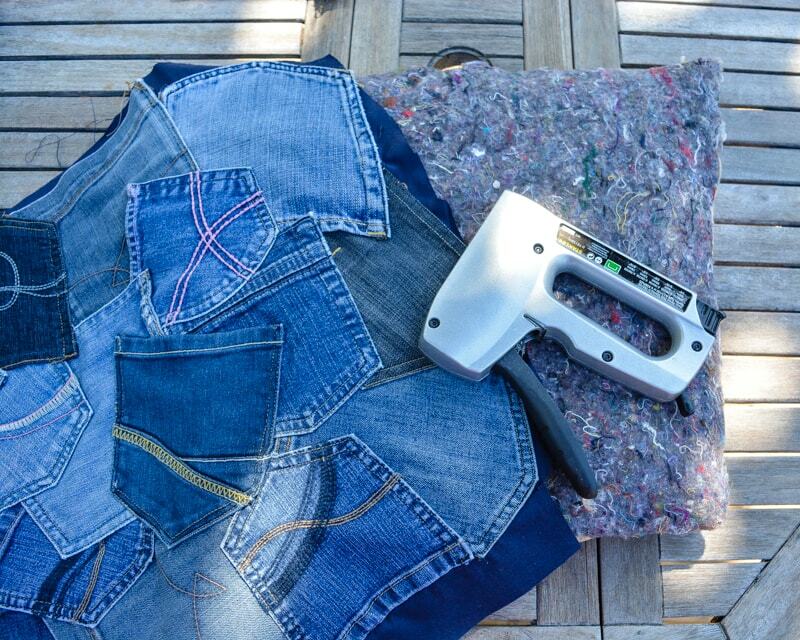 "Skirt into a top #refashion"
Love your denim pocket seat cover. Thanks for sharing how to make one. Looks great and love the idea.